Apple has released beta 3 of macOS 10.13.1 High Sierra to users enrolled in the beta testing programs. Those eligible to receive beta system software updates for macOS can find the update available now via the Mac App Store Updates section. The beta builds of macOS High Sierra 10.13.1 likely focus on bug fixes, security updates, and feature improvements, but also include support for hundreds of new Emoji icons, including a scarf, hedgehog, a bearded person, a vampire, an I Love You gesture, avocado, pie, zebra, fortune cookie, a pixie, a vomiting face, a dinosaur, multiple gender neutral emojis, broccoli, and more. Each of the new emoji icons are included in iOS and watchOS betas as well. Presumably the eventual release of macOS High Sierra 10.13.1 will fix some of the various reported problems with macOS High Sierra. 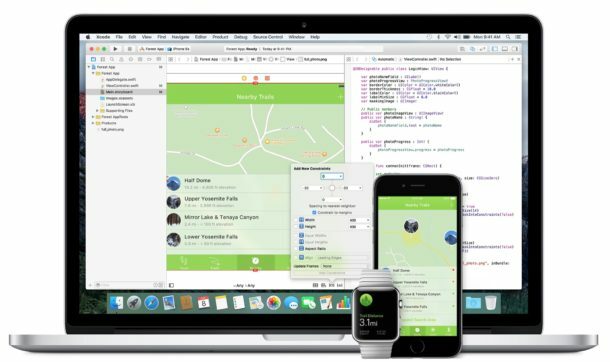 Though a timeline is not known, Apple typically releases multiple beta builds before issuing a final version, so it would be reasonable to expect a final build of 10.13.1 in the coming months. Separately, iOS 11.1 beta 3 is also available for testing purposes for both developer and public beta users, along with beta 3 of watchOS 4.1 and tvOS 11.1. THAT is very well said. I would say OS X 10.6.8 and 10.8.5 is the best OS X versions Apple has released. OS X just seems rushed out anymore. Too many bugs and too many gimmicks. I would say that, for any OS, the features are there. I can really do anything I want on Windows XP or OS X Snow Leopard, if I choose to. I would just prefer a solid OS now. So the focus really should be browser and OS security updates and fixes. When a new feature is thought of that could really be of use, then add it. Until then, enough of the gimmicks. It just creates more bugs and really adds nothing that we can already do via OS feature or through the web. The only two features I can think of that are worth any real value since Snow Leopard is GateKeeper and fullscreen apps. I feel as a long time user of Apple Products both iMacs, iPads and iPhones are just beta products when it comes to there software and shouldn’t be released to the public in their current state. I totally agree with Lee’s comments above.